As the holidays approach, you need to be prepared to look fantastic for all of your up coming celebrations! 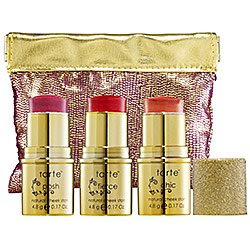 Tarte has brought us this great little cheek trio in festive gold packaging tucked into a great purple and gold bag. Nothing says fresh and modern more than a stained cheek this time of year. With this little trio of color you will be ready for any occasion. I often get asked if stranded on a desert island what beaty product could you not live without. The answer to that question for me is very easy...The eyelash curler! I have come across the Japonesque Go Curl Pocket Curler. 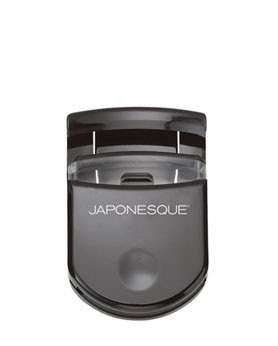 This compact tool makes even the smallest lashes stand tall with incredible ease! or magnify your mascara to a whole new level. Join us for a little bit of learnin' and a whole lot of fun! *The Holiday Hook Up...this year's seasonal must haves! No cost, but RSVP to reserve your spot!